Summer is here, and it’s time to enjoy a holiday getaway. Pack your bags, and don’t forget that sunscreen. And buckle up for an exciting journey, as turbulence increases with the heat. Anyone enjoy it when the plane shakes, rattles and rolls? My character Thea Paris sure doesn’t, as she’s no fan of flying. And that’s what made Skyjack even more fun to write. My latest novel required extensive travel, including trips to Turkey—the Hagia Sophia figures prominently in the story—Austria, as my character Johann Dietrich attends the same school that I did in Salzburg—Italy, the home of Mafia Don Prospero Salvatore, and other exotic locales. Nothing replaces spending time in the actual setting, as I like to bring the sights, sounds, and tastes of the location to the reader. I also spent extensive time researching the aviation world to bring authenticity to the dynamic flying segments. 1. Where is the safest place to sit? The rear of the plane. Why? These seats are the furthest ones away from the likely point of impact, and distant from areas where fuel may catch fire. Even if you don’t receive champagne there, you can relax knowing you truly have the best seats in the house. Thea Paris loves the exit rows in the rear. 2. Always keep your seat belt fastened snugly while in flight. Most aircraft injuries are caused by turbulence, which often isn’t polite enough to announce itself. The seatbelt should be fitted snugly across the hips. Any slack between the seatbelt and your body can increase the G-forces you are subject to during a deceleration, increasing your chance of injury. 3. Locate the closest two exits and count the number of rows between your seat and those egress points. If there’s an emergency and you need to leave the plane in darkness or with your vision impaired by smoke, you will be glad you’re prepared to feel your way out. 4. Wear comfortable shoes and loose clothing, particularly pants, socks or nylons. DVT or Deep Vein Thrombosis is a serious condition that can develop during air travel. Wearing clothes that don’t restrict blood flow can help prevent it. And make sure you get up and walk regularly. 5. Take non-stop flights on large planes. Since most incidents occur during take-off and landing, non-stop flights are the safest way to go. Also, the larger planes (more than 30 passengers) have demonstrated the best survivability in crashes and are subject to the most thorough regulatory and security scrutiny. Think big! 6. When you’re in the air, the cabin pressure is the equivalent of being in the same altitude as Denver, so alcohol will affect you more strongly than at sea level. Moderation is a great policy, as this will also reduce potential involvement in air rage incidents, which are sadly on the rise. Enjoy your summer travel in good health and safety. 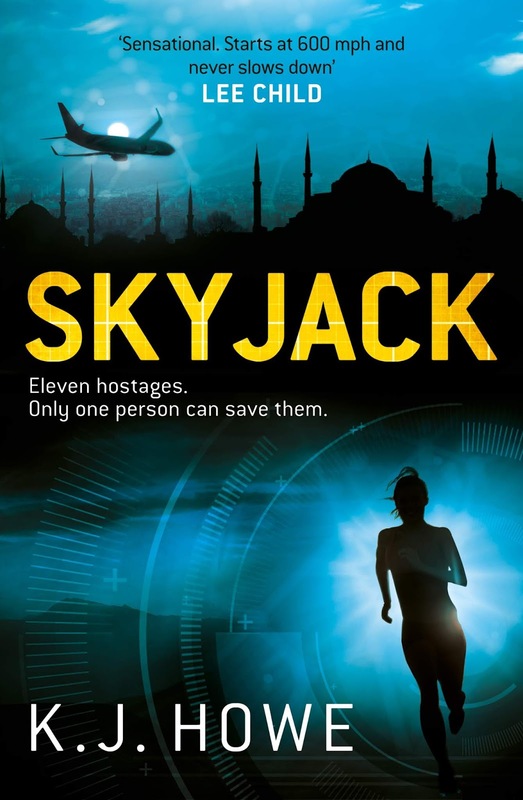 Don’t forget to bring along a cache of books to read on the beach or plane—and you could be brave and choose to be Skyjacked on your next flight! KJ Howe is the author of the Thea Paris thriller series. The series debut, The Freedom Broker, recently won Best First Novel from the International Thriller Writers. 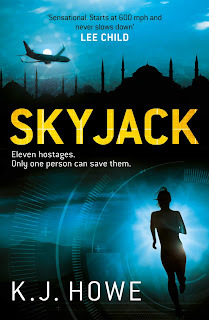 The second, Skyjack, is available this week in the UK. 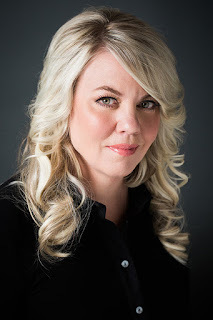 To write about kidnap negotiators, Howe has interviewed former hostages, negotiators, hostage reintegration experts, special forces operatives, and kidnap and ransom insurance executives. She also travels extensively, both for research and for fun. www.kjhowe.com.